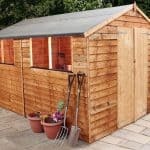 Today we review Sheds.co.uk who are one of the bigger garden building retailers that we have here in the UK. We have given their site a really good looking over and not just focussed on sheds, but we have also have a good rummage through their summerhouses, playhouses and other garden structures as well. Our aim is to makes this as fair a Sheds.co.uk review as possible and also help you know if they are the right retailer for you. 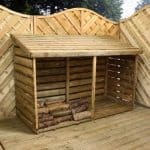 Before we really roll up our sleeves and sink our teeth into this Sheds.co.uk review, we must tell you that the aim of this site is to make it as hassle free as possible for a customer to order a shed, playhouse, log cabin or any other kind of garden structure. This right here sets them off on the right foot in our opinion. Interestingly, despite going to the effort of actually having Sheds in their name, Sheds.co.uk do actually sell pretty much every kind of garden structure that you could imagine. Please Note: When contacting the Sheds.co.uk 0845 number you might be charged a significant amount a minuet. If you are making the call from a UK mobile phone we advise people to check with their provider for the costs that they will incur. This seems like its the only number you have so if you ever run into any issues and you need to call customer service you could very quickly find your self running up a very big bill. Having to pay up to £10 for a 20 minuet call to customer service to sort out a problem with an order is I am sure something customers will NOT be happy with. We have only come across two retailers that make customer call an 0845 number. As they are called, Sheds.co.uk, you would expect them to have a fantastic selection of sheds and we are pleased to say that they do. Their selection is quite incredible as they have all kinds of styles and have sheds made from wood, plastic and metal. When we started this Sheds.co.uk review, we were actually very interested to see what other kinds of structures they would offer and we are happy to say that their selection of things such as summerhouses, greenhouses, playhouses, log cabins and other general garden storage structures is just as impressive as their sheds. While there is a lot of choice here it does mean that to see all the awesome garden buildings they have, you are going to have to spend a considerable amount of time looking around the site. But we feel it is well worth it as they have such a diverse range that no matter what kind of taste you have or what size you garden is. Sheds.co.uk will have something that is ideal for you. 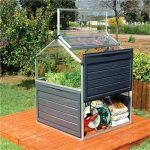 As well as garden buildings, Sheds.co.uk have a lot of garden accessories and products that would be perfect to just finish off your garden. For example they have some truly lovely arbours, gazebos and pergolas that would be ideal for a person looking for that last thing to just put the finishing touch on their garden. Also things like decking, shelving, work benches and even more fancy things like security alarms are available. So even if you already have a shed or summerhouse that your already happy with then Sheds.co.uk would be a great place to have a look for something to help enhance what you already have or just add that little something extra to your garden. Earlier in our Sheds.co.uk review we did say that we felt that they had products that were ideal for people not matter what their style is or what size of a garden they have. But they do also have garden buildings at all price ranges. One thing that we were very impressed with was their range of, as they call them Cheap Sheds. Here you have a whole range of budget priced sheds to look at with some such as their, YardMaster 3′ 5″ x 4′ 9″ Pent Metal Shed coming in at £126.99. They have all kinds of products at low prices, but you have to remember that their lower priced wooden sheds, summerhouses and playhouses are not going to be made with materials that are as high quality as the more expensive sheds. Speaking of which, Sheds.co.uk have some spectacular high end garden buildings on their site. For example the Rowlinson 9′ x 7′ Chatsworth Summer House may cost over a thousand pounds, but it is made with the finest materials and has a striking design. 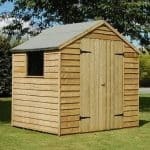 We love how when it comes to prices, Sheds.co.uk have products for all kinds of budgets. 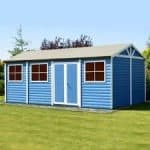 One of the things that has impressed us the most during this Sheds.co.uk review is the way that they have some great deals and special offers. These happen all year round and while most of their special offers will only last for a few weeks. A new one will pop up once it is done. You never know what kind of special offer they will have. For example while we are writing this review, Sheds.co.uk are having a Spring Sale where they are giving an extra 6 percent off if you spend over £600. What is really cool is that sometimes you will click on one of their categories, like summerhouses for example and there will be another kind of special offer listed there that was not on the homepage. As we said early on, ordering a shed as hassle free as possible is the aim of Sheds.co.uk and we feel this is something that they accomplish. Within a few minutes of looking around the site, we knew that one of the things we were going to praise the most during this Sheds.co.uk review was just how easy the site is to use. They have multiple categories like sheds, log cabins, summerhouses, accessories and outdoor living to name a few of them. These are all located right at the top of the home page and when you hover your mouse over one you get a more in depth set of categories to pick from. For example on the sheds tab you have wooden, metal, plastic workshop and cheap sheds to pick from. From here you can specialise what size you want, your budget or you can just look through all the sheds if you want to make sure you do not miss anything. There is also a pretty good search engine which will come in very handy if you know the name of the actual product you are interested in. Let’s say you find a summerhouse or shed that you like the look of and the price seems just right. Well it is only natural you want to know as much about it as possible right? Well when you do click on a product, you will find it very easy to get all the information you need as they have a detailed product description as well as all the dimensions of the structure. They also make it very easy to see if a product is actually in stock and they also give you an idea of how long the delivery time will be as well. Sheds.co.uk are one of the better retailers when it comes to showcasing their products as the majority of them will have multiple pictures. Most of them have around eight pictures so you can get a real good look at them and visualise how a structure would look in your garden. One other thing we want to mention about using the site is how easy they have made it to find their contact information. It is almost like they are encouraging you to give them a call and ask any questions that you may have. One of the more confusing aspects of writing this Sheds.co.uk review was the way they handle customer reviews. When you click on a product there is a large section about halfway down the page with customer reviews. Now it is only natural to assume that these are reviews for the actual product you are looking at, but they are actually not. Instead they are reviews for the actual site. You can click on this part and be taken to a place on the Sheds.co.uk where they list some Sheds.co.uk customer reviews. Interestingly there is a link here that will take you to reviews.co.uk. Of course Sheds.co.uk have handpicked some of the best reviews to showcase one their own site, but as they are actually linking you to an impartial review site as well, we will not be too harsh on them for cherry picking the best reviews to put on their own site. When it comes to Sheds.co.uk customer reviews for the actual products themselves, well this is a bit trickier to talk about. When you click on a product there is a tab that if you click it will let you see or leave a review. Like most other garden building retailers, they score their products out of five stars, but we could not actually find any customer reviews for any of the products that we clicked on. We went through pages and pages of products and while there are plenty of reviews for the actual site, we wish there was some for the actual products as well. Now we do not actually feel that there is something dodgy going on here. We feel that it is not as easy as it should be for a customer to leave a review of a product and instead many just leave one for the actual site. Which when given how easy the rest of the site is to use we wish that leaving a review for a product was something that was a little more obvious and easy to do for a customer. What Are The People Saying About Sheds.co.uk? So we have done our own Sheds.co.uk review, but now we are going to share with you some actual Sheds.co.uk customer reviews. 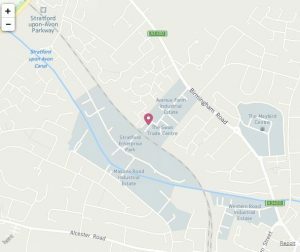 We feel that if you use customer reviews right that it is a great way to give you a really good idea about what your experience with a retailer will be like. We are actually quite impressed with the level of Sheds.co.uk reviews that we have seen as this is a retailer that while quite large and with a lot of customers. Still actually has more positive than negative reviews so that is a good sign to see. Before you start chowing down on all these Sheds.co.uk customer reviews, we would like to suggest to you that while it is great to get an opinion from another person. Do not just real all the good or all the bad reviews. Read a mix of reviews so you can get a more balanced idea of what kind of retailer Sheds.co.uk. Also remember that even the best retailers will have the occasional thing go wrong where a customer is disappointed so before you read a one star review and think that is the way Sheds.co.uk operate. Be sure to read some 5,4 and 3 star reviews as well. 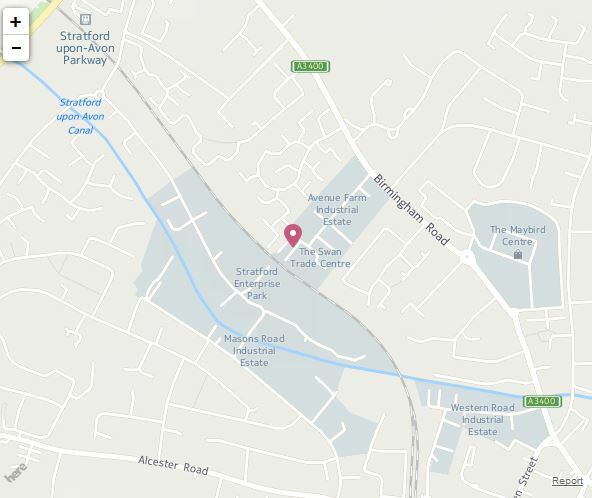 Reviews.co.uk: The first site we have is Reviews.co.uk. We touched on this before that, Sheds.co.uk actually link you to this review page which we feel does show that they are honest and transparent about their reviews as these are not all positive reviews. Now the majority of reviews on here are positive with an impressive 37 percent being for 5 stars, but actually when you factor in 4 and 3 star reviews then over half the Sheds.co.uk reviews are actually positive. It was actually very refreshing to read so many reviews praising a company for their delivery times and customer service. But of course no company can make everyone happy and that is why we are also going to have a look at the negative reviews. The negative reviews that are on here make up 29 percent which is lower than some of the other garden building retailers we have seen. We have had a really good look at most of these negative reviews and many of these were for lower cost garden buildings that had some kind of issue with the quality. One thing that we read which did make us raise our eyebrows was about how Sheds.co.uk package their structures. A reviewer called Paul Roberts shared this, “My first niggle is about the little blocks you have to take off on the bottom of each panel before assembly. Why on earth you would use ring shanked nails to temporary fix these when these need to be removed by the customer. Why cant you use small screws or little panel nails to aid removal?” We know that to some this may not seem like a huge deal, but before installing a shed the last thing you want to do is have to mess around trying to unpackaged it. Visit website and see reviews by clicking here. Trust Pilot: With a little under 60 Sheds.co.uk reviews, Trust Pilot do not exactly have a large amount. What we like about their reviews though is how there is a really good mix of good average and even some bad as well. So while the amount may not be that impressive, we feel that you get a real good picture of what Sheds.co.uk are like by reading the reviews here. As far as the positive reviews go, most reviews listed here are for 5 stars whereas of writing 28 5 star reviews equal to 48 percent of the overall reviews listed here which is very impressive. When you add in the 3 and the 4 star reviews that takes the overall percentage of average to great reviews up to just over 66 percent. We are fair here at WhatShed so we made sure to have a look at the negative Sheds.co.uk reviews as well. As of writing 19 percent of the reviews are for 1 or 2 stars which is less than some other garden retailers we have seen. There seem to be two main complaints with the negative reviews. These are to do with customers being messed around with delivery and poor quality with some of the products, thankfully these do not make up a lot of the reviews, but it does show that sometimes things can go wrong. Even with a retailer who has as much good feedback as Sheds.co.uk. Visit website and see reviews by clicking here. Facebook: Facebook is a very interesting place to go for a Sheds.co.uk customer review as on their Facebook page they actually have a customer review section. There are not many reviews here, but they are very mixed with all of them being for either 1 or 5 stars. The reason for this is because, Facebook is a place where people are used to being able to vent so if you are getting a review here. Many times it will be because someone is having an instant reaction to something that has happened. We are not saying this makes these Sheds.co.uk reviews any less valid, but they are reviews that are a little on the emotional side and this is reflected by the fact that the reviews are all either fantastic or very poor. So keep that in mind when you are reading the reviews on their Facebook page. Visit website and see reviews by clicking here. We spent a lot of time looking around the Sheds.co.uk website and reading various Sheds.co.uk reviews from customers and we have to say that in general we are very impressed. While some people have raised their hand to question the delivery times and the way Sheds.co.uk deal with deliveries in general. While it is horrible that people have been messed around like they have, we feel that perhaps they were just the unlucky ones who had something go wrong as many, many other reviews praise the delivery. The main concern that we have is that a couple of the reviews have mentioned there be issues with the quality of the products. Most of the time this is the low end, cheaper products, but that still does not excuse any problems that people have had. We must say that there are not hundreds of reviews talking about poor quality, but there are a couple out there and we hope these are just freak incidents that will not crop up too often. By this point you have probably guessed that we are impressed with Sheds.co.uk and from most of the Sheds.co.uk reviews that we have read so are most of you. But as good as a company is, here at WhatShed, as cheesy as this sounds. We encourage retailers to be the best they can be, even ones like Sheds.co.uk here who for the most part are doing great. We do have a couple of things that we think would make Sheds.co.uk an even better retailer. First of all we would love to see more actual product reviews on their site. They do have a system in place where customers can post reviews, but it is not as easy to find as it should be and we feel they could perhaps encourage customers a little more to leave a review on a product they have purchased. Maybe having a standard email that automatically goes out to customers after a couple of weeks to remind them that they can leave a review on the shed they just purchased. The other improvement we have for them may to some seem a little harsh, but maybe just one extra look over on a product before it is shipped out to a customer to make sure there are no warped pieces of wood, holes or any other kinds of issues with a panel of a shed, window of a summerhouse or anything else. To be fair there are far more reviews praising the quality than those who have had an issue, but we feel just a tiny bit more quality control before shipping could see Sheds.co.uk have as much as an 85 percent positive ranking on most sites. So we come to the end of our Sheds.co.uk review and you know what? We are really impressed with this retailer. 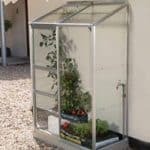 It is very easy to use, they have a great selection of products and we also feel that the prices are very competitive with other garden building retailers. Sheds.co.uk make finding the shed, summerhouse or whatever kind of garden structure it is you are looking for easy. We really do not see anyone having any kind of trouble using the site. There are a couple of issues that we would like to see worked on such as getting more customer reviews on the site, but in general this is retailer we feel are doing a great job and we hope they keep it up for many, many years. As you can see we have been very impressed and for the most part our Sheds.co.uk review is very positive. Still though we love to read customer reviews and down below we have a section where you fine folks can write your own Sheds.co.uk reviews and let us know of your own personal experiences. Have been waiting over two months for delivery. No acknowledgement received. Several calls to customer “service”. Still nothing despite several promises. For a Company that supposedly prides itself on “hasslefree” service, I’m afraid hassle’s all you’ll get. It is accepted that mistakes can always happen but the Company has now been given three different opportunities to resolve the matter, yet we are no further forward. If I were the Managing Director I would urgently consider re-organising my Customer Service department. Delivery issues for bike shed. Ordered an alarm also and it didn’t arrive. No apology but was sent next day and package was damaged. No instructions for assembly of shed either. Really poor company! They take your money before changing the lead time (2 days quickly becomes 20) and then tell you that fulfilment has been outsourced and you have to deal with a 3rd party (not supplier) company! Despite their accolade and pride in their own service. However it gets worse! Because when 3rd party doesn’t deliver, you realise how unhelpful sheds.co.uk costumer service really is. Lack of transparency, lack of integrity, promises broken and unhelpful customer service…and I’m still waiting for my shed! My advice? Shop around! Concur with the rip off phone-line, and the only time I got an answer I was switched to technical help but the line went dead – same the next day – disgusting …they do not supply certain parts (brackets for the base-which was not flagged in the ‘manual’-a joke in itself) and screws (flagged) for a £1500 cabin it beggars belief really…I’m glad it’s not my money… what’s the saying about strong roots and a solid base lol…an absolute crime. Door and window images & measurements completely disagree with contents – no diagram of door jams etc and 8 x 2.5 metre strips of wood missing, bizarrely.